John Davies & Co warehousing operates 20000 hours a year by fully trained competent and experienced personnel, who are friendly and courteous at all times. 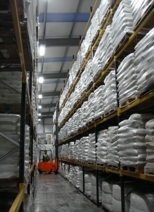 We believe the work ethic, professional competence and most of all, our family orientated environment created by our staff gives John Davies & Co the edge in warehousing and distribution. 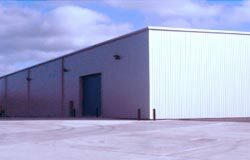 John Davies & Co’s competent warehousing operation is utilised by many different customers, from SME’s to Blue Chip companies. 50% of our clients we have worked with for over a decade. We believe in forming close relationships that are extremely cost effective, for the client this ensures unrivalled service levels and that Key Performance Indicators (KPI's) are met. JDC facilities are operated under a‘shared user’ system. This is tailored to customer requirements (laid out /individual racks / product specific requirements) to deliver unrivalled and exceptional customer service which is delivered through a family / friendly oriented atmosphere and professional competence. Each client’s specific needs are met with an efficient, cost effective solution that matches there requirements. JDC facilities are operated using 99.8 % accurate fully traceable Warehouse Management System needed to achieve BRC Certification and ISO 9001 : 2008.